Forum|Vivarium in the most reductive sense represent that which is essentially public (or that which allows collectivity in the city) and that which is essentially natural (or that which sustains living systems). 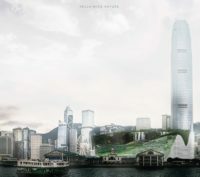 These two concepts might also be seen as competing ambitions for the waterfront of contemporary Hong Kong. 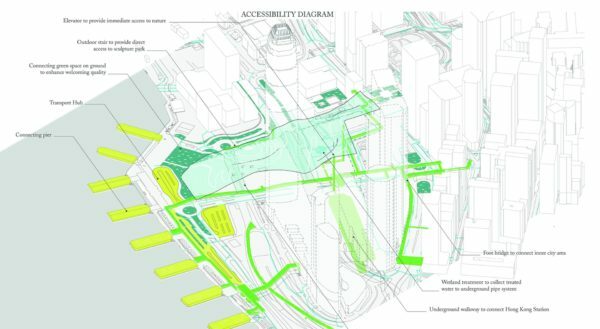 In the imaginary of the Forum, the waterfront overcomes infrastructural obstacles and the temptations of land value to vastly increase space in the financial district, initiating a cultured public-ness in the image of an open and free city. 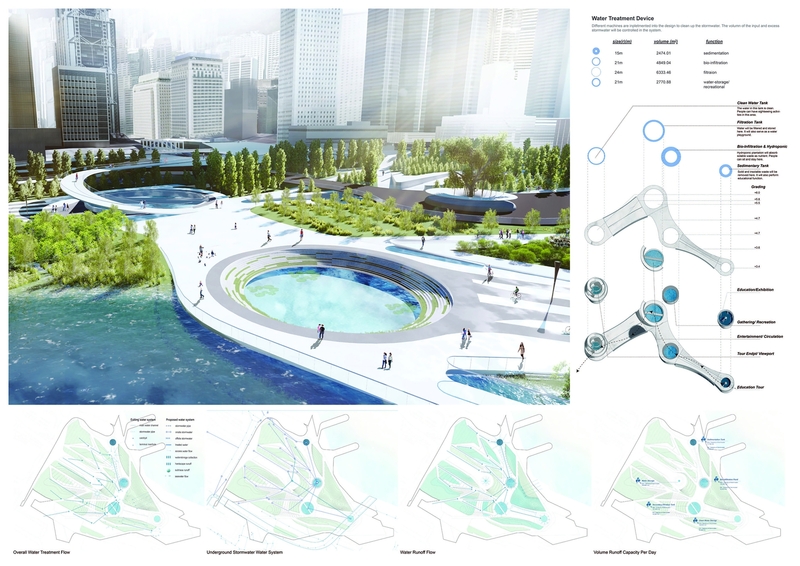 In the imaginary of the Vivarium, the waterfront returns to a robustly natural state, a purposeful and productive zone, in the image of a green, resilient, and healthy city. And yet, these imaginaries are fantasies—who are the citizens of Central? 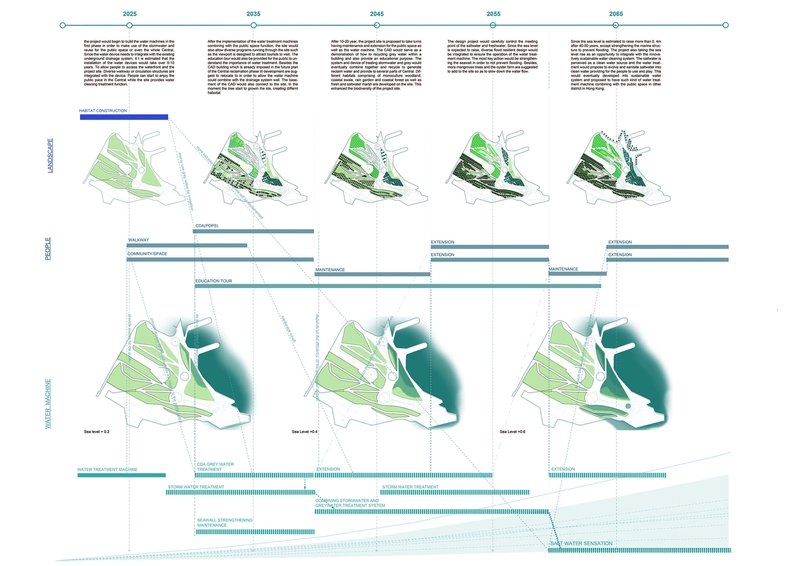 What habitat can thrive on an island of construction-fill? 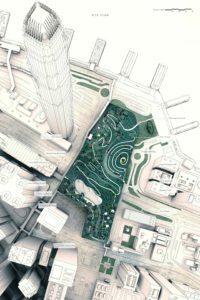 The 21.5-hectare site reclaimed as part of the Central- Wan Chai Bypass is today a space of ambivalence, a yard scheduled for a sequence of urban, cultural, and recreational occupations directed at a global audience. Published master plans are equally aimless: open space and natural systems as empty motifs decorating the surface in flat stripes and arcs. 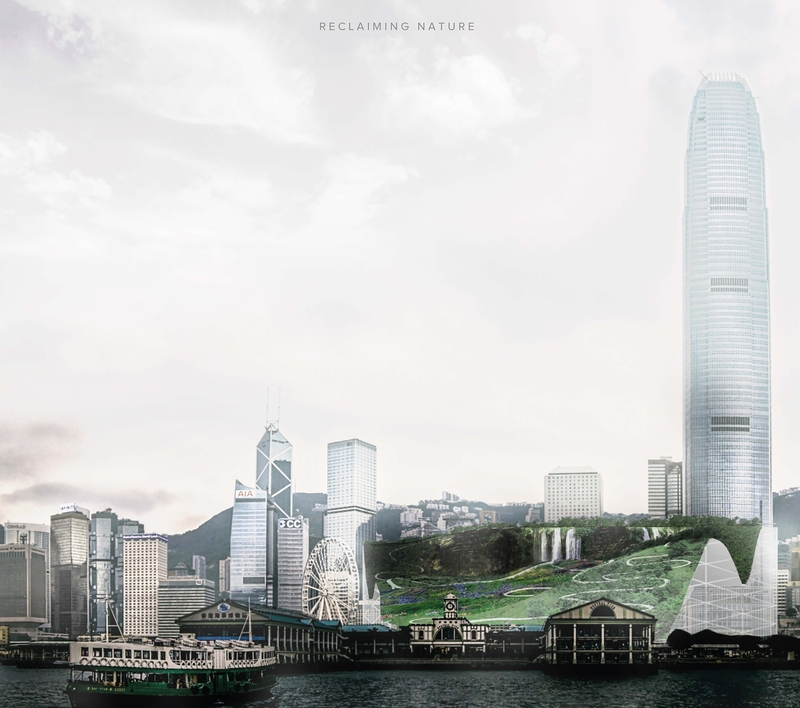 This studio traces conditions of vivaria and fora in Hong Kong’s urbanized landscapes to originate strategies of assembly, isolation, connection and enclosure suitable to the city’s dense development and ersatz natures. Working on a 12-hectare area within the Department’s Site of Intervention, students translate these strategies into one or more “deep” design interventions that rebuild the ground, develop the surface, and manipulate the atmosphere of the Central site, initiating new civic and biotic potential in the city.